Quickly and easily create professional invoices for member dues and other billables, such as meetings, event fees, meals, donations and more. Simply specify detailed items for charges and credits and apply to selected recipients with just one click. 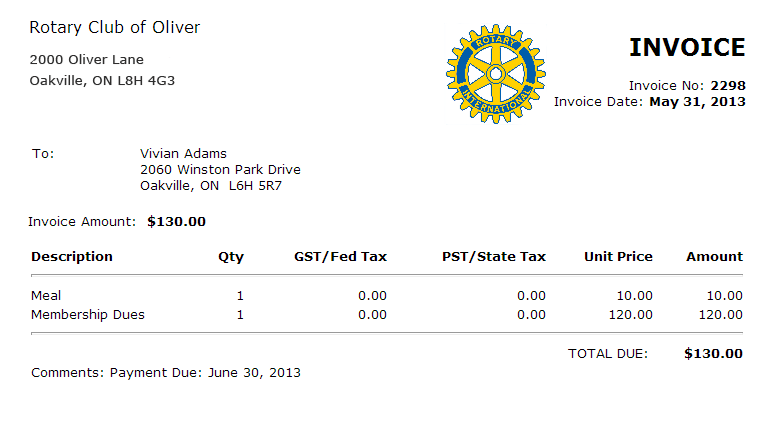 Override quantities and amounts by member, preview individual invoices, and generate all invoices at once. Email or pint invoices and statements with one click for effortless distribution. Individual members can also securely access their own billing account statements and invoices. Track all payments made by members either manually or online. 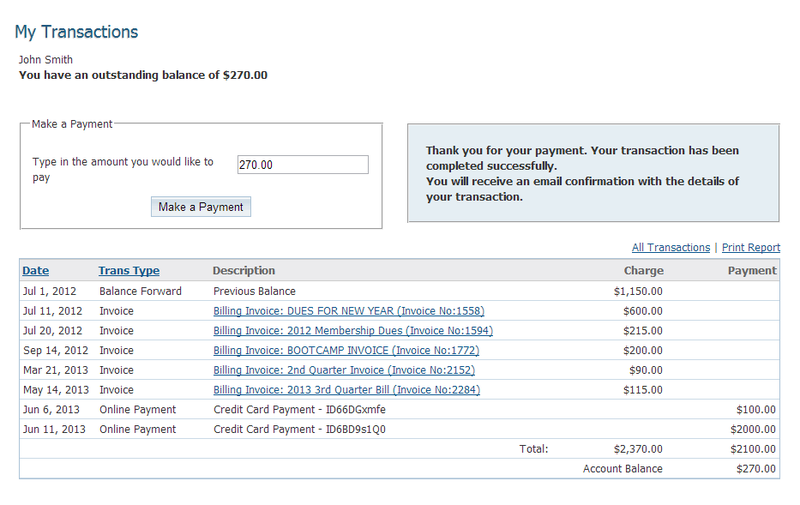 Enter debit or credit adjustments, generate account statements and email detailed account history to all members. 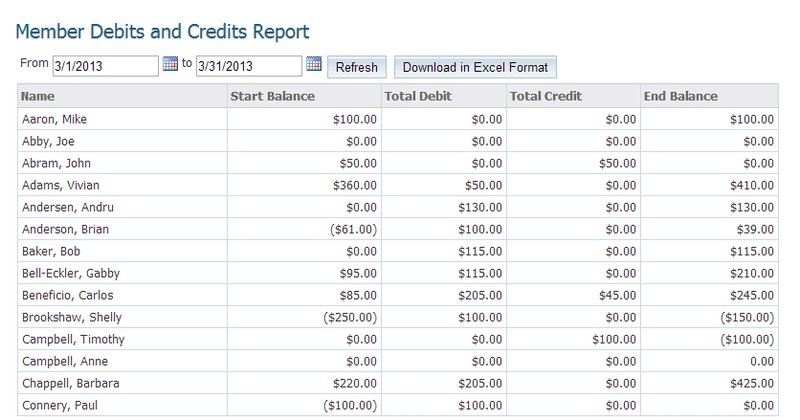 Generate debit and credit reports with start and end balances for each month and export it to Excel easily. Want to allow your members to pay their bills online? With the Online Payment and eCommerce Module, get setup with a pre-integrated merchant account for your club. Bills you send out by email will then contain a link to allow members to pay any amount online, or members can log in anytime and pay online through their billing account statement page. All payments get deposited directly to your club's bank account, and unique confirmation IDs are tracked on your account history so there is no need to consolidate payments. ClubRunner is integrated with both the online and desktop versions of Quickbooks. Send your invoices, collect payments and then upload your statements directly to Quickbooks. Easily keep track of your financial records and save time consolidating records!